Ranikot Fort, also known as the Great Wall of Pakistan, is believed to be the largest fort in the world with a circumference of about 32 kilometres. The historical fort needs to be given more and more attention by the government of Sindh as due to lack of facilities, a large number of visitors and tourists are still unaware of this antique place of Pakistan. It seems that researchers and historians alike have neglected the fort, as there is no conclusive answer to who built the fort and why. There are many conflicting opinions about the issue. 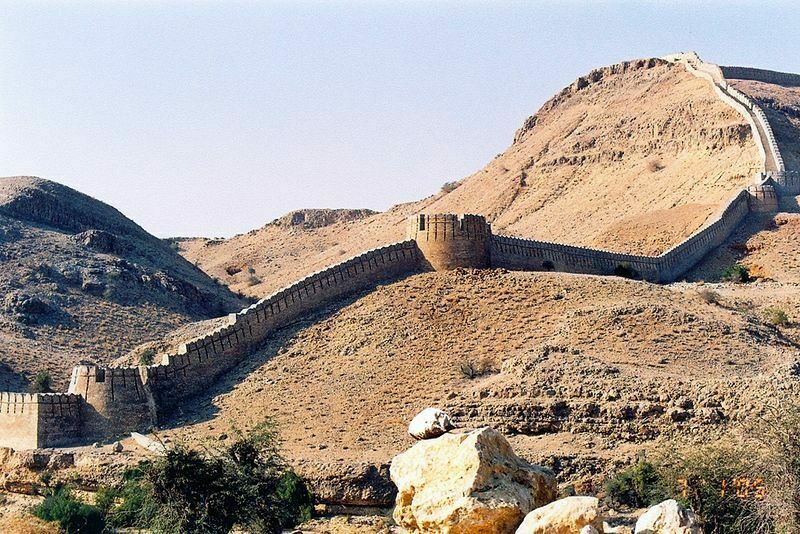 Some historians even suggest that ancient Greeks laid foundation of the wall when they invaded Sindh. 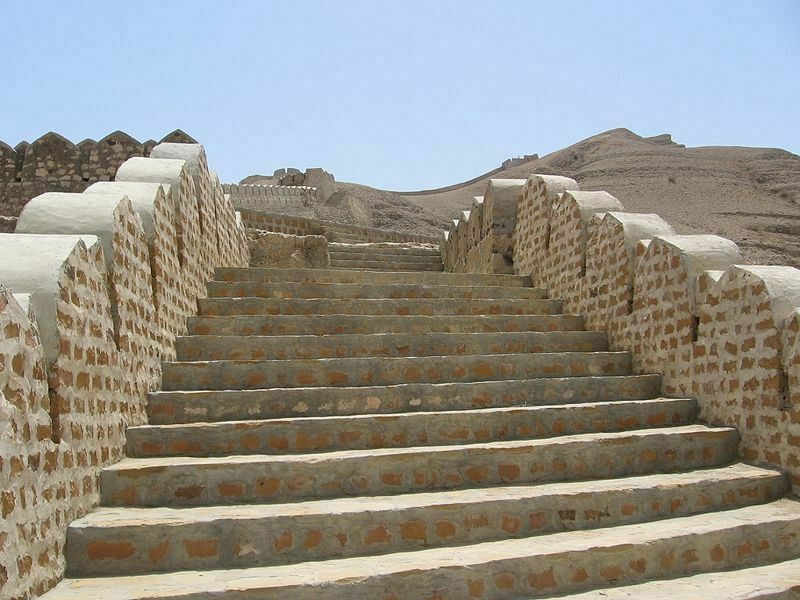 Others are of the view that Sasanians were responsible for building it, while there are some who assert that the fort is not that old and it was actually built by the Talpurs. According to researcher Achar Khashheli, Ranikots architects have not been identified in history. Some of the archaeologists attribute to Arabs and this fort was constructed in the regime of Imam Mosa Bin Marmaki who was the governor 836AD. The fort connects several bleak mountains of the Kirthar hills along curves. The fort is combined with several bastions in between and three of them are of semi-circular shape. Lack of transportation facilities to the fort seems to be a contributing factor to tourists apathy towards Ranikot Fort. To reach the spot, there is only one direct road that comes from Sann to Ranikot, which itself is in a deplorable state. The fort is located 30km from Sann, Jamshoro district, and has four gates and 28 watchtowers. 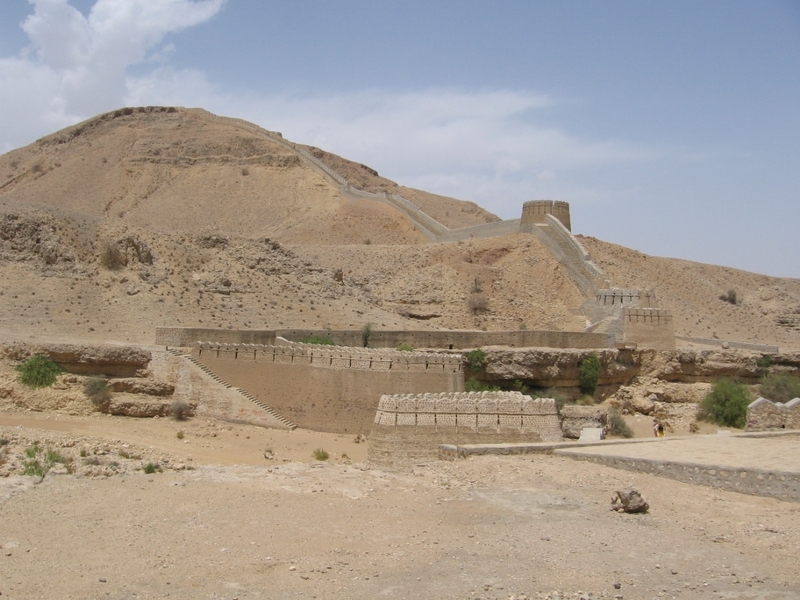 The two bridges that lead to the Ranikot Fort were severely falling to pieces. Non-availability of water in the area was another major hurdle for tourists. 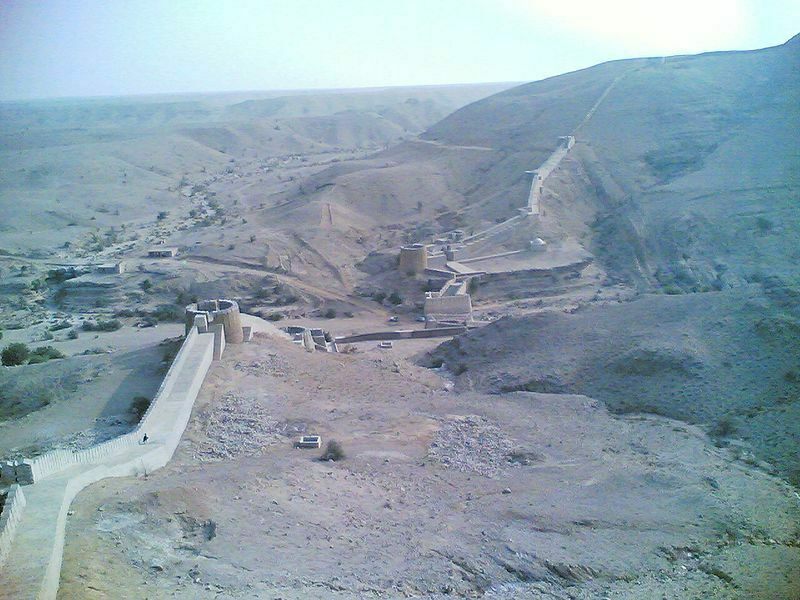 The historical Ranikot Fort is a heritage site that needed to be protected and preserved under the Sindh Cultural Heritage (Preservation) Act, 1994. However, the successive governments shirked their legal responsibility by neglecting the site. Villagers, who have been living on the fort premises for centuries, said the rampart was in vulnerable condition at many places and it might vanish completely if the authorities concerned did not carry out repair and preservation work on a war footing. The Sindh government should bring some facilities in order to make it more convenient for tourists. The local government with the help of federal government should open doors for foreigners to visit as it would financially be advantageous for the national economy of Pakistan. But for this purpose they need to develop the roads first as they are not in good condition.